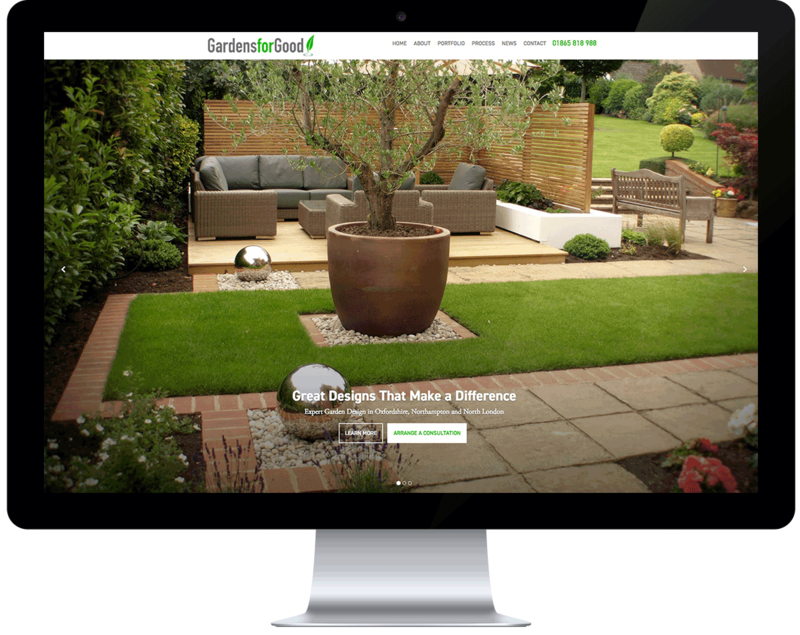 ICAAL were commissioned by Gardens For Good to design a website which best represented their brand. This also involved the creation of additional marketing materials such as business cards and videos. 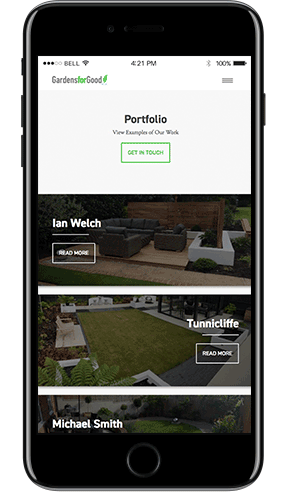 Our web developers got to work and developed a bespoke, hand coded theme in WordPress. 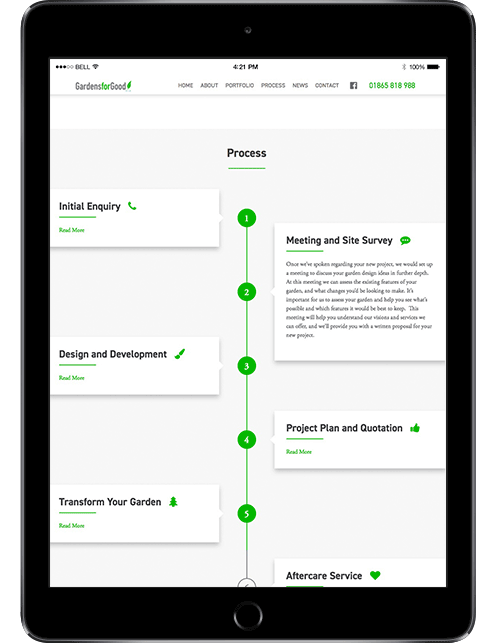 The website was built from the ground up, with their brand and target audience in mind. 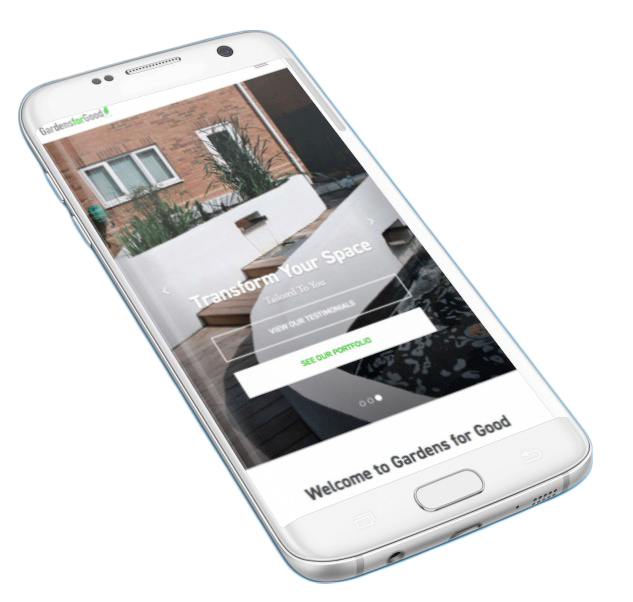 The website features a mobile friendly slider and gallery functionality, as well as a built-in blog portfolio feed to display their latest projects. We also integrated reviews into their new site with a built-in management facility. 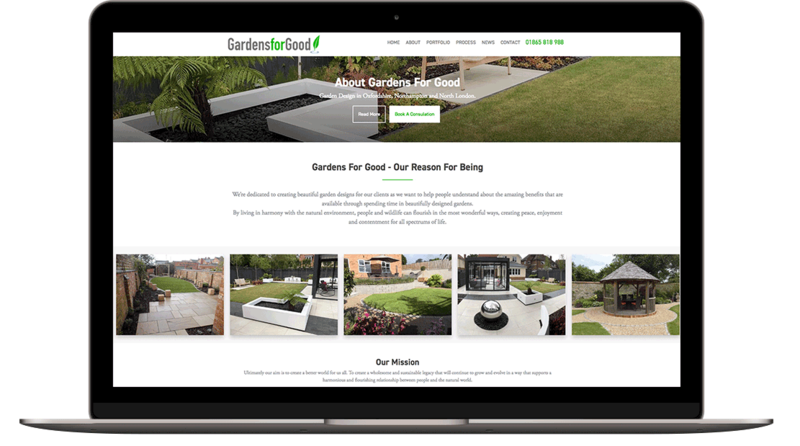 Our graphic team worked alongside Gardens for Good to select the very best photography. We made use of their high-quality images by using a full screen design, with beautiful parallax images. Our in-house SEO team also provided full optimised copywritten content, designed not only to rank in the Search Engines, but also to engage users and drive conversions. ICAAL were also commissioned to provide business cards, video and animation. The videos included a corporate 2 minute video and Portfolio 1 minute video. The videos were created, filmed and edited in-house by our creative team.